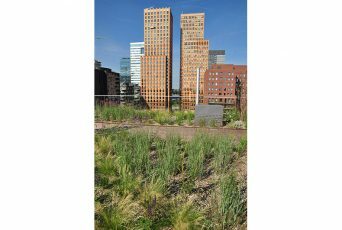 Realestate investment company Vesteda has renovated the 8 story high apartment building ‘De Boel’ located at the Boelelaan in Amsterdam. 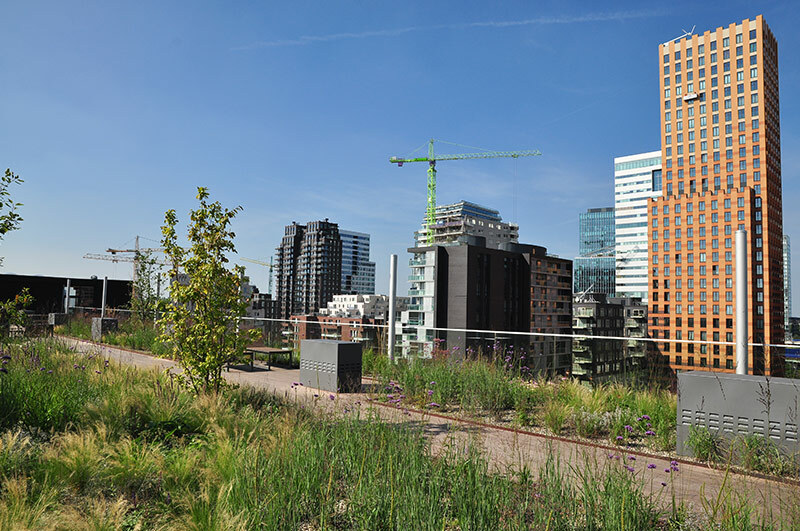 Besides upgrades increasing energy efficiency, a 700 m2 blue-green roof was constructed to provide residents with a garden away from noise, while offering fantastic views over the city. 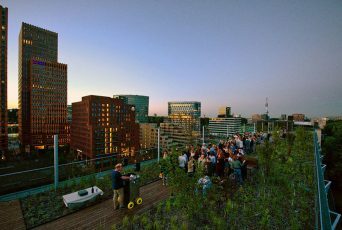 The building now conforms to the Vestada concept of ‘Smart Living’ and is one of the most favourite buildings to live in in this part of Amsterdam. 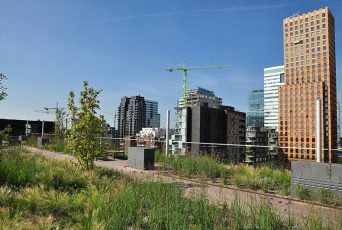 The blue green roof is constructed on top of the Permavoid 85S drainage and capillary irrigation foundation, located under both hard- and softscaped areas in the roofgarden. 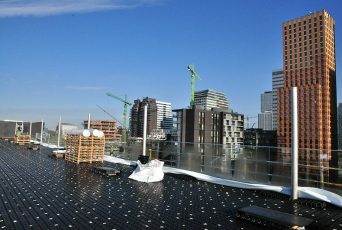 With a storage level of 50 mm this blue-green roof stores 35.000 litres of rainwater and re-uses this water for plantgrowth via capillary (0-energy) irrigation. 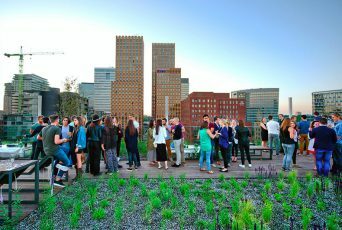 The diverse and local inspired vegetation of grasses, herbs, perennials and even shrubs provides a lot of space for biodiversity and creates separate ‘chambers’ on the roof with different seating arrangements. 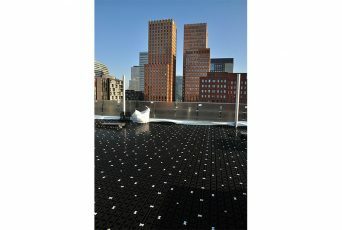 The spectacular lighting-scheme of the roof garden makes it the most favourite hangout for the residents, day and night.